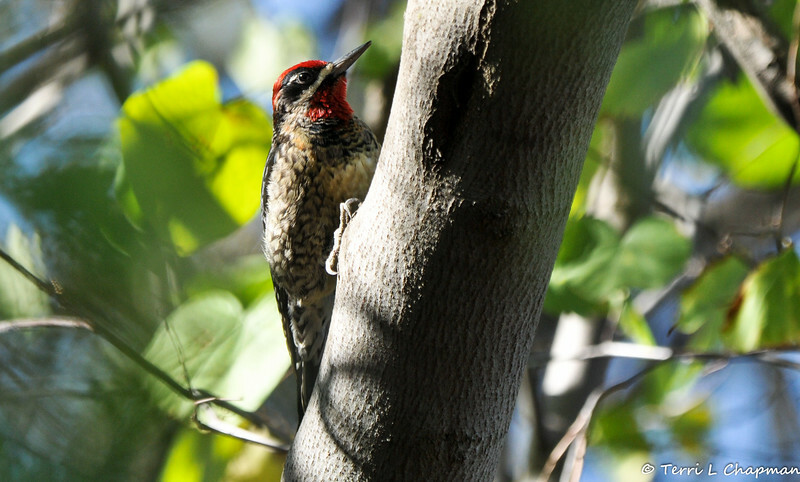 A Red-naped Sapsucker. In all the years I have been photographing birds, I have only seen this species two other times. So, I was excited to stumbled upon this woodpecker when I was actually photographing robins and waxwings in a nearby berry bush.